I have a very similar Buddha status in my home which coincidentally I just posted a photo of yesterday on my blog. Not weathered like this one though. Curious place for those Budas. I like the photo. Greetings. yeah, I saw them. 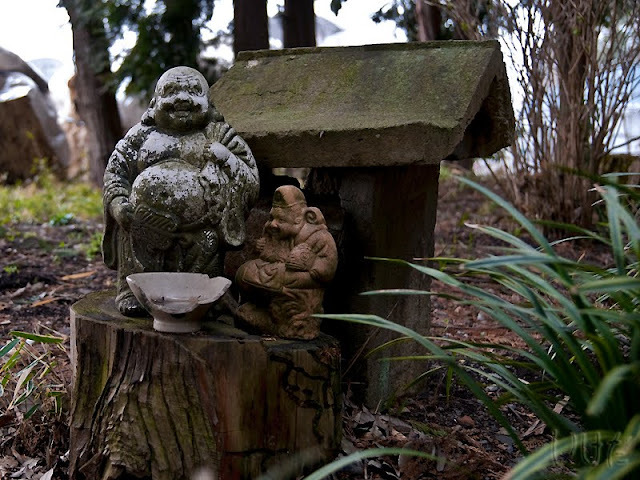 I love the fat Buddhas, too. I saw it behind a shinto shrine in the woods. And they somehow remind me of my cats - one is grey and very fat, the other - orange and less fat.